You’ve seen amazing shots of water spouts and milk crowns. You’ve seen shots of bullets piercing glass ornaments, playing cards, and poor, defenseless pieces of fruit. 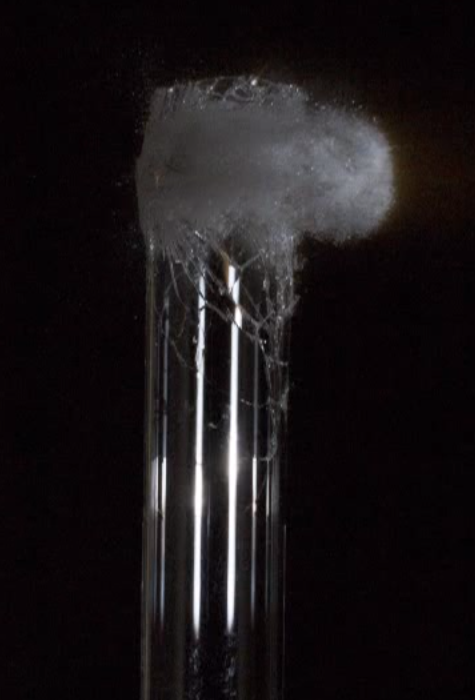 Maybe you’ve even seen that holy grail of shots—a bullet piercing a water spout. But how is it done? How do photographers capture this two-headed mythical beast of high-speed photography? [Maurice] has cracked the code and shared it for all to see. He uses a Camera Axe to trigger the camera, a device he came up with years ago that’s on its fifth version. His setup uses a 100mm macro lens, a key flash, and two fill flashes that sit behind a diffusing wall of whiteness. All three flashes are connected to a multi-flash board which feeds into Camera Axe. [Maurice] explains how he gets nice, tall water spouts by thickening it with xanthan gum. He adds Jet Dry to reduce the surface tension and some food coloring to keep things interesting. [Maurice] also runs through his pellet shooting rig, which he made with some polyethylene tubing and an air compressor. He ended up shooting the pellets at 20psi, which sends them traveling at 75 feet per second. They move slowly enough that he can use his own stomach to stop them in the demonstration. Dialing in just the right settings to get the pellet to intersect the spout at the right time took some finagling, and that will hold true for anyone who attempts to recreate this setup. He gives a link to his code files in the video description to get you started. Video is after the break. [Maurice] and his team just finished the airgap flash they’ve been working on for a year now. 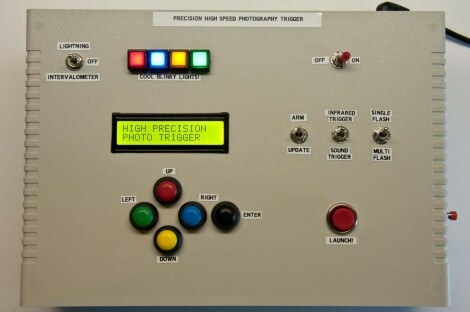 This kind of flash is useful for very high speed photography such as photographing shooting bullets. With a duration of about a millionth of a second it is 30 times faster the normal flashes at their fastest settings. In the video embedded after the break, [Maurice] first explains the differences between his flash and a conventional one which normally uses a xenon flash tube, then shows off different photos he made with his build. Even though this video is a bit commercially oriented, [Maurice] will make another one detailing the insides. In the mean time, you can checkout the schematics in the user manual (PDF) and also have a look at an other write up he made which we covered in the past. We should also mention that trying to make this kind of flash in home is very dangerous as very high voltages are used (in this case, 16kV). 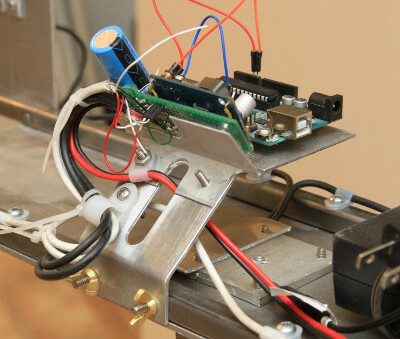 One high-speed photography controller to rule them all. If you’re looking to photograph droplets of water splashing on a still reservoir this is the ticket. But if you’re not, it still offers an incredible amount of flexibility for other high-speed needs. Inside you’ll find an Arduino Mega, which has plenty of room to bend to your will. [Michael Ross] is the man behind this box. He wanted a system that did it all; timings, droplet control, camera shutter, etc. What you can’t see in the image above is the interface panel on the back of this enclosure (this shot shows the top of the box). The video after the break will give you a look at the overall setup. 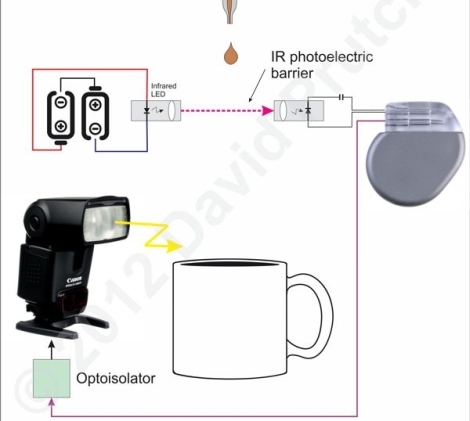 It has ports to control two different light sources, detectors to snap the images using an infrared sensor or via sound (we’re thinking bullet photography), and four ports to control solenoid valves. He produced a mammoth PDF tutorial which will guide even the biggest noob through the entire build process. Find it at his site linked above. Most people use pacemakers to, you know, keep their heart pumping at a steady rhythm. [David Prutchi] on the other hand has found a pretty novel use for some of the old pacemakers he has in his collection. We really had no idea that pacemakers had uses outside the world of medicine, but [David] has taken advantage of their reliability in one of his favorite hobbies – high speed photography. In a darkened room, he set up an infrared barrier which feeds its signal to the atrium input of an old pacemaker. The signal is relayed through the ventricular output, which then fires his camera’s flash. The pacemaker allows [David] to set an “AV” delay, which is the interval between when the atrium input receives an electrical impulse and when that signal is repeated from the ventricular output. This allows him to finely tune how much time elapses from when a drop of milk breaks the IR barrier to when his flash actuates. We think this is a pretty cool way to reuse an old pacemaker, but check out the shots he has captured and judge for yourself.